Michael is a staff scientist in the Health System Planning and Evaluation Program at ICES Central. He completed a MPH in epidemiology from the University of Toronto at the Dalla Lana School of Public Health and a BSc from the University of Waterloo in the faculty of Applied Health Sciences. Starting at ICES as a research practicum student in 2008, and then becoming an epidemiologist for both the Research Coordination and Data and Analytic Services departments, his research experience has mainly concentrated on using administrative and laboratory testing data bases to study infectious diseases and vaccines. He also has expertise in COPD and COPD-related medications. His research work has been accepted to a diverse set of publications including the Journal of the American Medical Association, Lancet Infectious Diseases, Vaccine, and Pediatrics. Michael was also involved as an advisor and lecturer in the Improving and Driving Excellence Across Sectors (IDEAS) advanced learning program, which is a comprehensive Ontario-wide initiative to enhance the province’s health system performance by increasing quality improvement, leadership, and change management capacity across all sectors of the health care system. 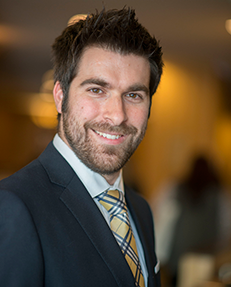 His current research is focused on studying medication use among Ontario Long-Term Care residents and Home Care recipients, and the role that patient frailty may have in modifying drug-disease associations. He also works with Health Quality Ontario to facilitate indicator development and measurement using ICES data.